Comment: Pantry mice and mice under kitchen sink. Regular traps not controlling problem so need to find the source and put in prevention measures as well as eliminate our current inhabitants. Comment: Found what we believe are carpenter ants while doing a remodel. Englewood Pest Control Services are rated 4.53 out of 5 based on 2,373 reviews of 20 pros. 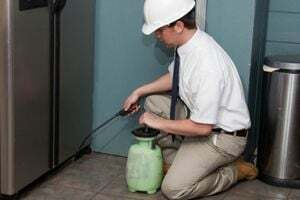 Not Looking for Pest Control Contractors in Englewood, CO?